Gluten-Free Hazelnut Brownies | Naturally. I figured it was high time I shared an actual recipe from the book. Many of my favorite bloggers have been sharing (and will be continuing to share) recipes from the book, so be sure to check those out- I’m updating the cookbook page with links to all these! The original recipe was developed using walnut meal but I love to play around with the different types of nutmeal. Hazelnuts are a favorite as well as pecan- feel free to experiment! Preheat oven to 300˚. Lightly grease or line with parchment paper and 8 x 8 baking pan. Spread/press the brownie batter into the prepared baking pan. Bake for 40 to 50 minutes, until the brownies are pulling away from the sides of the pan and set in the middle. Completely cool before slicing into 9 to 12 squares. 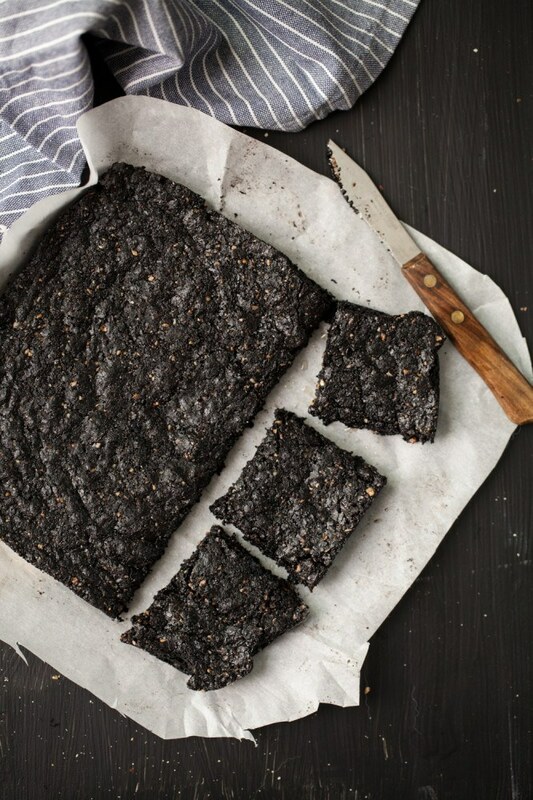 *These brownies were actually made with a black cocoa powder from Frontier. I would typically use regular unsweetened cocoa powder but the black cocoa powder adds a bit of extra richness to the already fudgy brownies. The Giveaway has ended and congratulations to Andrea! A magimix?? *__* The winner will be so lucky!!! I love that my unhealthy obsession with nutella found a way to inspire the hazelnut meal. Genius! Can’t wait to make them. yum! Is it ok to substitute cornstarch for the arrowroot powder? I haven’t tested it with cornstarch but I can imagine it would work just fine! Looks delicious! Are there alternatives to arrowroot starch? Hi Amy, I haven’t tested it, but you could most likely use cornstarch. I’m glad you explained nut meal vs. nut flour. I was never quite sure! I love the simplicity of your header! Also this looks very tasty. You can’t go wrong with hazelnut and chocolate, obviously. These look delicious! I love fudgy brownies. I’ve been loving all of the recipes from the cookbook that other bloggers have been making!! I love hazelnuts! I must make these brownies now!! These look great! I wonder if you know of a substitution for arrowroot starch that would work in this recipe? Hi Shannon, I think cornstarch might work or a combination of other starches- but I haven’t tested any yet! Can’t go wrong with hazelnuts and chocolate! Yum yum yum!!!! Can’t wait to try these. Such a great recipe! I love chocolate and hazelnuts! looks delicious! i try to avoid nuts, as they do bad things for my digestive system — do you think any / all of the hazelnut flour could be replaced by another gf flour? maybe oat? I never made this with Hazelnut meal, probably because I don’t have a food processor that would be able to make it! Looks amazing, I have some hazelnuts at home waiting to be ground! These look awesome. I always end up with way too cakey brownies, so maybe I’ll try this to see if I can’t fix that! Holy moly, those look amazing! Those look incredible. Can’t wait to try them! Is there anywhere you could recommend to find arrowroot? I’ve been searching to no avail. Hey Jessie, Bob’s red mill can ship! Love! Such a nutella fan! I Love brownies and these look so Yummy!!!! These sound soooo yummy! And a great way to use up some of my Arrowroot powder haha. These look great – congrats on the cookbook (x2)! Hi! These look absolutely delicious! Holy crap these just made me so hungry! Nice giveaway too, thanks! Hazelnuts are the world’s most perfect nut! What a great giveaway! And these brownies sound incredible — healthy nutella in brownie form? sign me up! I love this recipe. Looks super yummy! And this mixer would really be useful in my home, we do a lot of baking and cooking in the kitchen. Nutella is my kryptonite…but it’s even better when it’s refined sugar free and made from whole ingredients. Definitely making these! these look great and I love the idea of trying the recipe with hazelnuts or pecans. Thank you for the giveaway. I found myself halfway through a recipe the other night and needed a food processor. Guess I should read the recipe first. Would love to own one of these. I have some hazelnuts sitting on my counter, this would be a perfect use! These must be quite thin given how little meal is used? Yet, fudgy? Sounds perfect for an afternoon pick me up! Those brownies look so delicious!! Pinned before I even “had to” to enter! YUM. I’d love to try a Magimix! These brownies sound delicious! Thanks for the chance to win this awesome giveaway, I definitely need a food processor! These look great! My mom is GF, I will have to make them for her 🙂 Thanks for the chance to win this amazing food processor! I’ve never seen black cocoa powder, but the dark hue of these brownies is delicious. 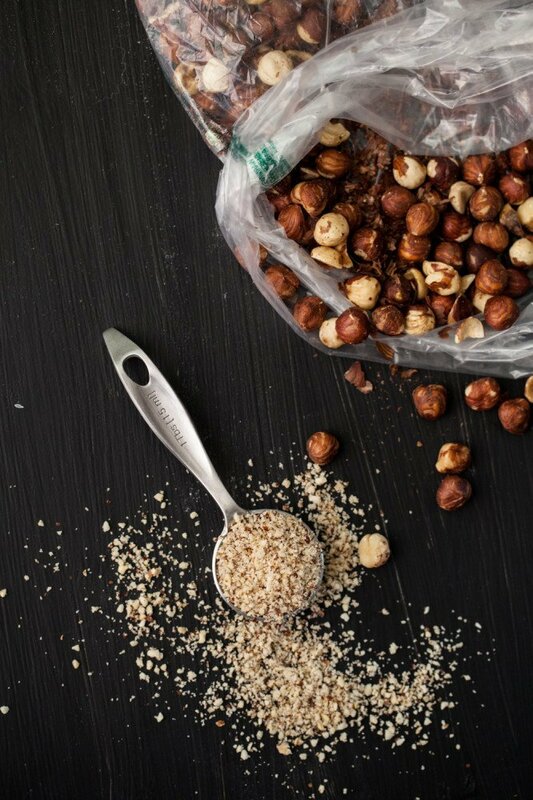 I love the idea of roasting the hazelnuts prior to deepen the flavor. That’s a tip I’ll have to keep in mind. Congrats on (both) cookbooks! If all the recipes inside are as good as this, and I’m sure they are, then you’ve got yourself a couple of winners. Love hazelnuts, so these look right up my alley! I’m loving the look of these beauties!!!!!!! Need to make them stat! These look so amazing Erin! I would love a slice with some raspberries on the side! Yum! Would choose a fudgey brownie over a cakey one any day! Grew up using my mother’s Magimix (still going strong… it seems like appliances used to be built with greater durability! )… every time I head home I make sure to use it. Would love one for myself! Hazelnuts for brownies? This just rocked my world. Thanks for the recipe share and giveaway chance! Wow two treats in one yummy brownies and winning a processor! I would love to own this food processor. Great recipe. These sound and look awesome! These look delicious! 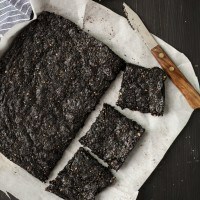 Does the nut flour give the brownies a much different taste/texture? Hi Helene, a bit of each but nothing too much. I love the combination of hazlenut and chocolate- these look delicious! Love the chocolate and hazelnut combo. Thanks for the giveaway. Delicious. I use a lot of almonds, but I love the idea of using hazelnuts instead. Speaking of almonds, I’ve been lusting over a new food processor so I can more easily make almond butter (and coconut butter). I have a mini, but that doesn’t quite cut it. Those looks awesome! I love chocolate-hazelnut things, although I’ve never really been a fan of Nutella (too sweet). Don’t have a food processor though, so crossing my fingers for the giveaway! I’d love a new food processor, I so miss making fresh hummus! I need to get myself a food processor! I’ve been missing out on so many good recipes. I would love a new food processor. I have a hand me down that has to be 20+ years old! oh if i only had a food processor …. Fudgy brownies for the win! These look amazing! Looks so yummy. Adding instant espresso sounds good for even darker/deeper flavor! Oh these brownies look so luscious!! I can’t wait to make EVERYTHING from your book!! I love that these are a one step process. Looks so easy! These look great. I have made brownies with almond meal, which were the most amazing fudgy brownies I have tried, so I can imagine with toasted hazelnut flour, these must be out of this world. Also interested in the black cocoa powder. Did you use all black cocoa powder or half with normal cocoa as Frontier suggests on the packaging? I went all in an used 100% black cocoa powder. I would recommend going half and half though- I think it would balance it out nicely. I’d love a food processor! Love the hazelnut & chocolate combo! Oh man, I must make these! I’ve never had a food processor before. I may have to buy one to try these! Seems yummy. Will try it with pecans and almonds! Love the flavor combo of these brownies!! I am totally going to make these with some toasted hazelnut oil instead of the walnut oil! 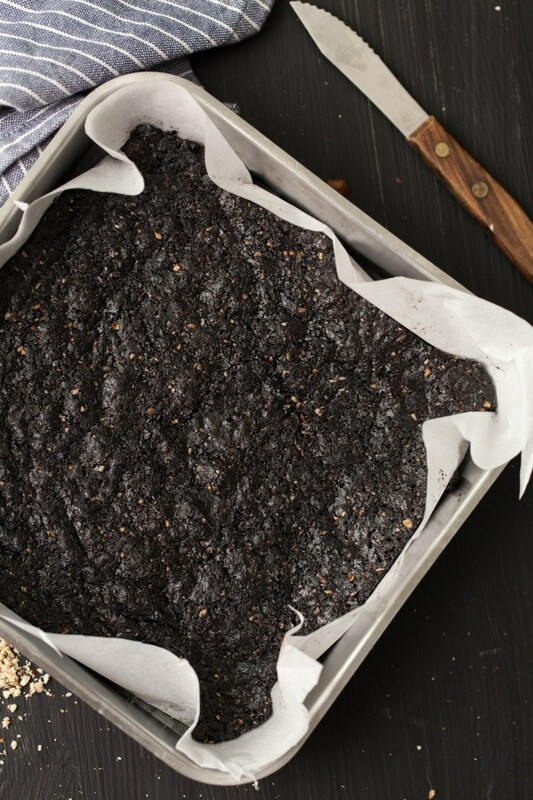 Would love to try black cocoa, recipe sounds great and thx for giveaway! Those brownies look amazing! I cannot wait to try them. I love hazelnuts, but I never thought to put them in brownies for some reason! These look amazing! These brownies look awesome, I love hazelnuts. I tried making homemade nutella once with raw hazelnuts and it was delicious. Time to make some flour-less Chocolate cake, Methinks. Yum. I love fudgey brownies. I have a bowl of hazelnuts that I need to use and these look delicious! Will have to give the recipe a try this afternoon! Just found your site and love it. Will be making these brownies soon! I usually have almonds in bulk around the house. Maybe I’ll try with those! These brownies look delish! Thanks for the great giveaway! Thank you for the chance! Looks so yummy! Oh yum, I rarely stray from my great grandma’s classic recipe, but these look worth trying! 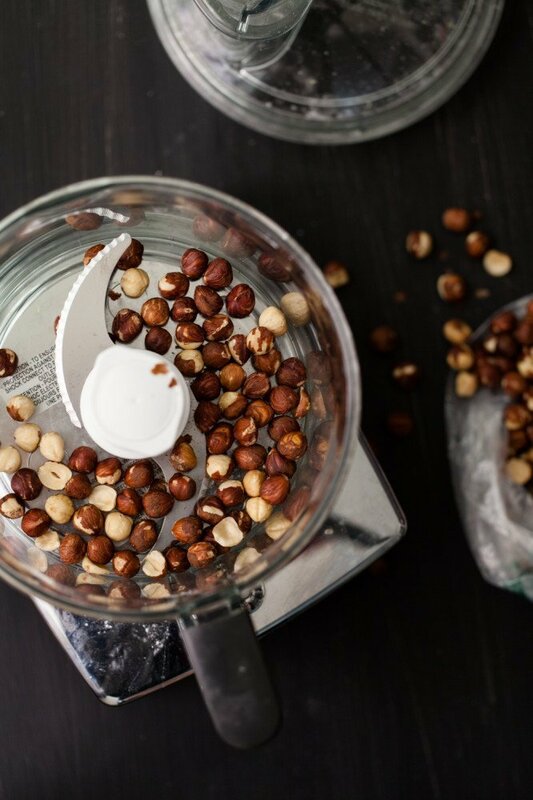 I love hazelnuts and they look delicious in this recipe. Never heard of Megamax mixer. Exciiting product! I’m always a fan of desserts that aren’t super heavy gut bombs of butter and sugar…these look awesome! I would like to use processor to make my own nut flours and for quinoa flouur. As always, very inspiring and gorgeous! Yum, hazelnuts makes everything look and taste scrumptious!! Dark cocoa plus hazelnuts? SIGN ME UP. Thank you for the inspiration! I ordered your new book and L-O-V-E it! My doc just put me on an elimination diet to see if gluten may be causing my tummy issues and I am so afraid I am going to miss out on so much!! Well, that is until I found your blog!!! These look so yummy 🙂 Can’t wait look browse through more of your site and try out some of your recipes!! I wonder what they would taste like with almonds. sounds healthy yet devious! can’t wait to try them! Oh man, now I’m totally craving brownies!! Nut flours are the only flours I’ve ventured into making and they are great! I am feeling kind of thrilled that I have hazelnuts sitting in my pantry right now. Brownies are HAPPENING this weekend! Erin, I made these brownies this week and they are so delicious plus they took all of 5 minutes to put together. These won’t last very long with my husband around ;-), so I may increase the recipe by 1/2 next time so they’re a little thicker.